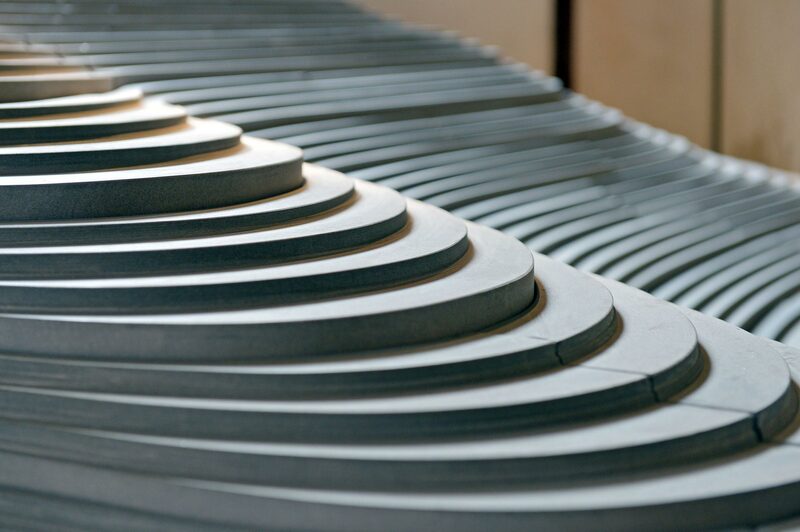 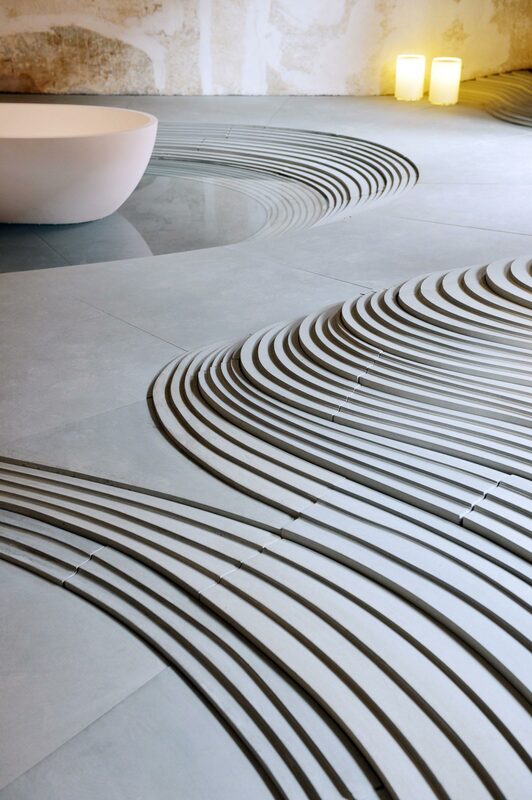 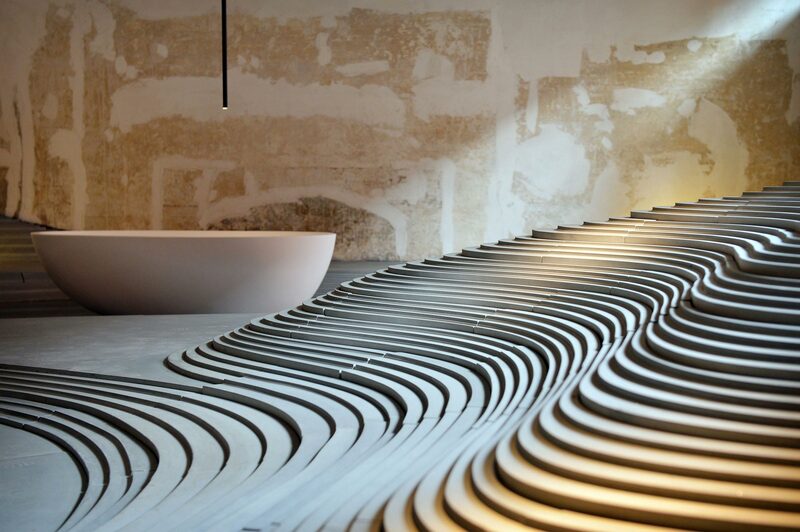 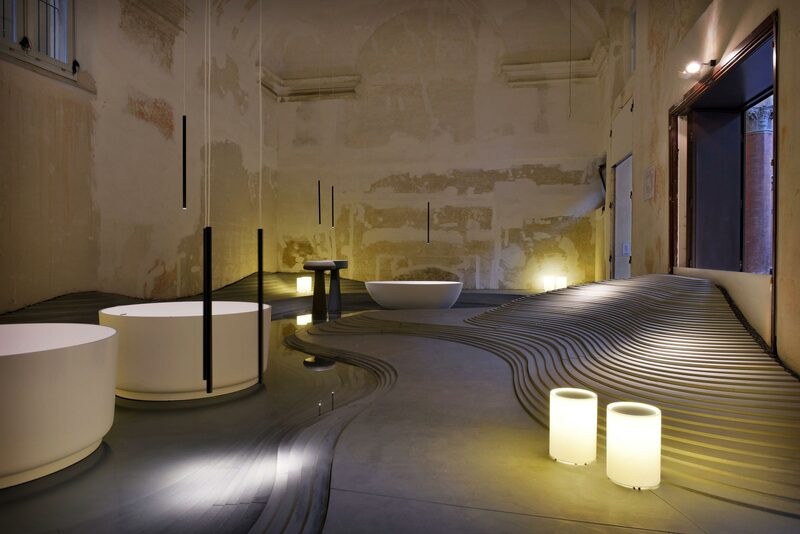 Within the crowded edition of Bologna Water Design, many visitors admired the Stonescape installation by Kengo Kuma for Agape, Il Casone and Mapei. 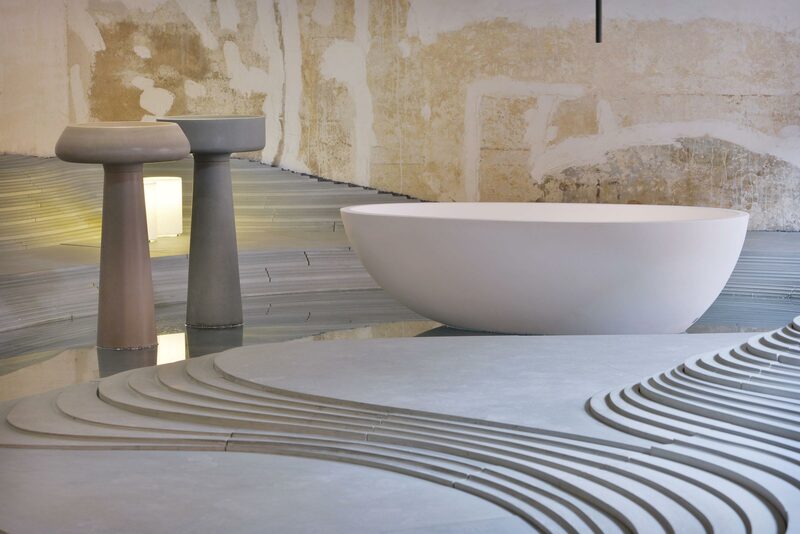 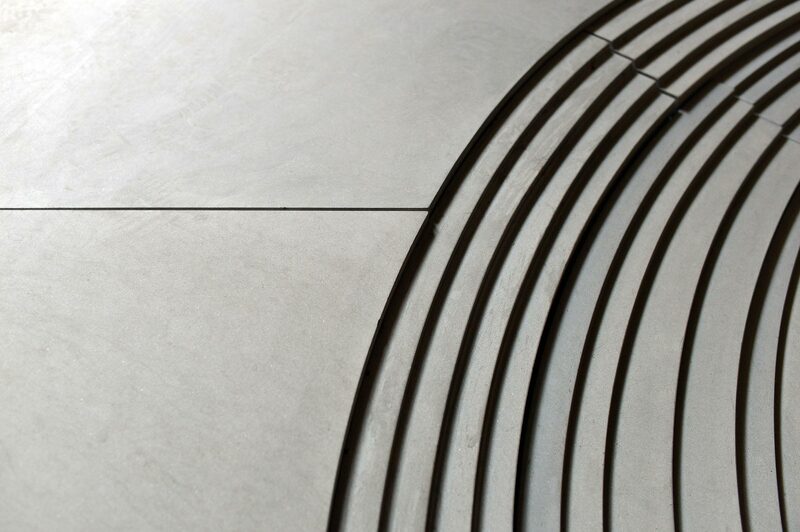 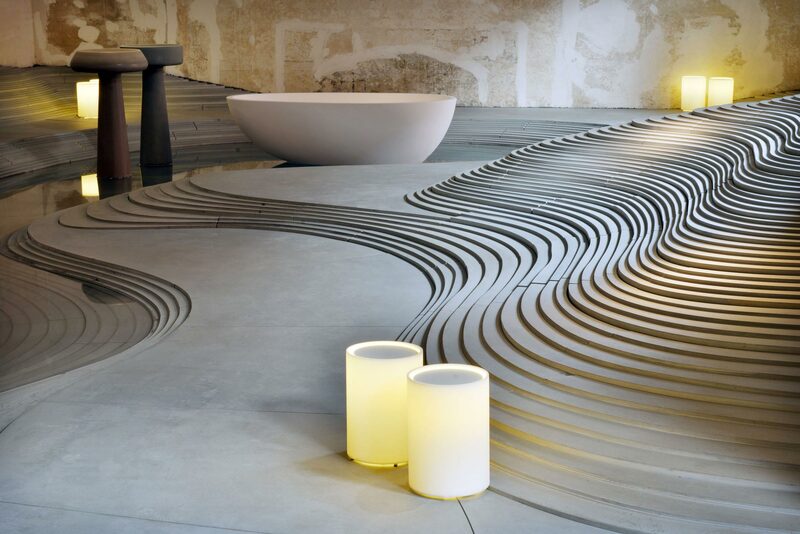 Water, universal symbol of reflection and unifying element of the whole initiative, led the way, as dazzled spectators moved through the space among the harmonious, stratified dunes made of Pietra Forte Fiorentina from Casone. 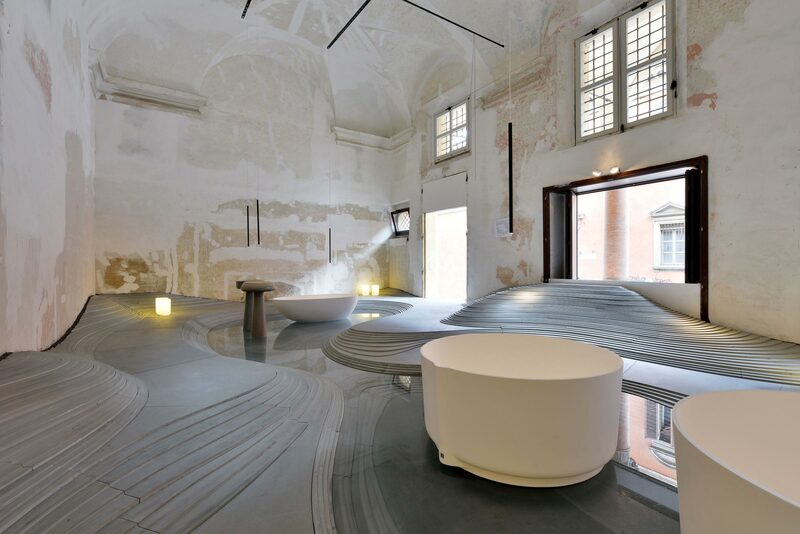 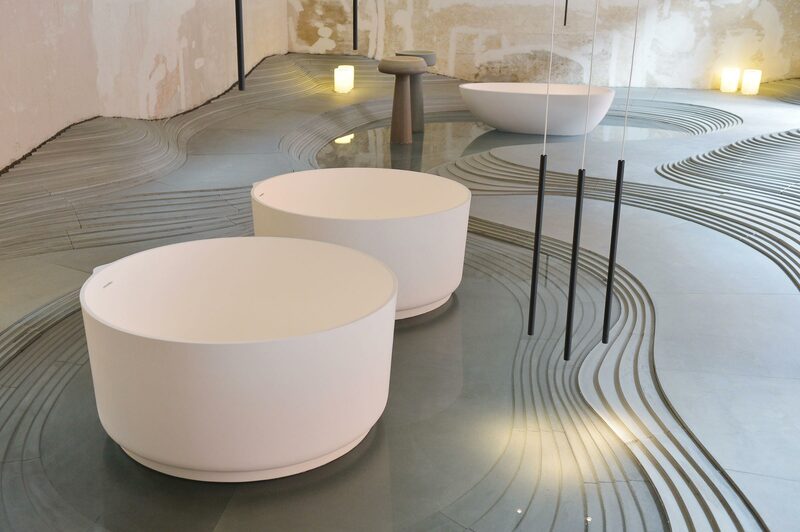 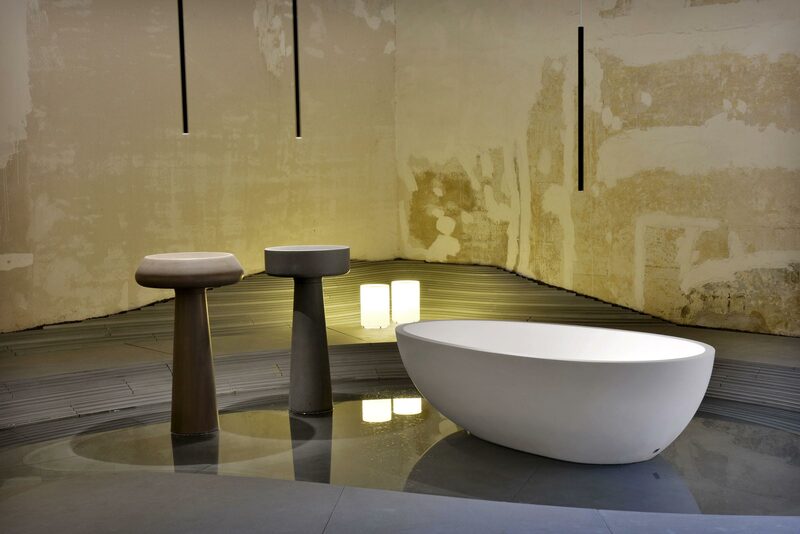 Kengo Kuma, as always, showed that he knows how to display the design of unusual bathroom fixtures - from Angelo Mangiarotti for sinks and Giampaolo Benedini for bathtubs - with fluid lines and lyric pedestals.